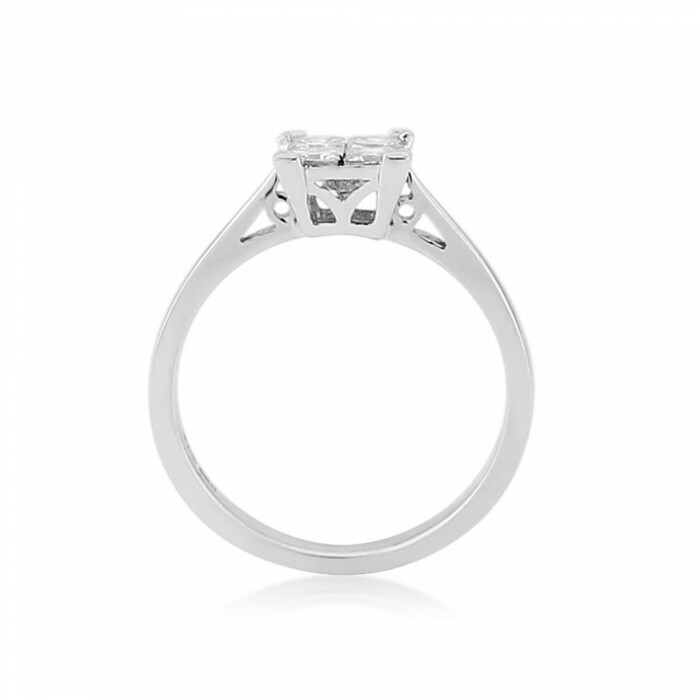 This ring features four invisibly set princess cut diamonds cunningly arranged to look like a much bigger single stone or solitaire, but still with the same fire and brilliance. The four diamonds add up to 0.54cts in weight but look like a 1ct stone. Please note: the current size of this ring is M1/2 but as this is a specialist ring it may take some time to make up in your finger size. Please contact for an estimated delivery time.